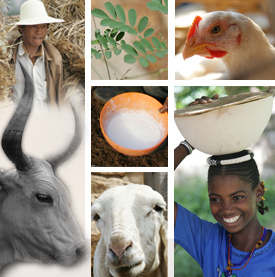 LIVES is implemented by ILRI, IWMI, the Ministry of Agriculture, the Ethiopian Institute of Agricultural Research, Regional Agricultural Research Institutes, Regional Bureaus of Agriculture and Regional Livestock Health and Development Agencies. 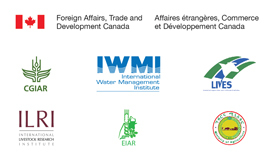 It is supported by Foreign Affairs, Trade and Development Canada. LIVES contributes to enhanced income and gender equitable wealth creation for smallholders and other value chain actors through increased and sustained market off‐take of high‐value livestock and irrigated crop commodities. Capturing, storing and sharing knowledge through various interventions will ‘fuel’ the value chain development process and complement capacity development interventions in project target areas. LIVES carries out promotional activities in nearby zones and districts with similar development potentials in order to reach value chain actors and service providers outside the project’s target areas and beyond. LIVES project designs and promote appropriate value chain interventions and linkages through a participatory process in each of the 10 zones; each zone has a maximum of four commodities.